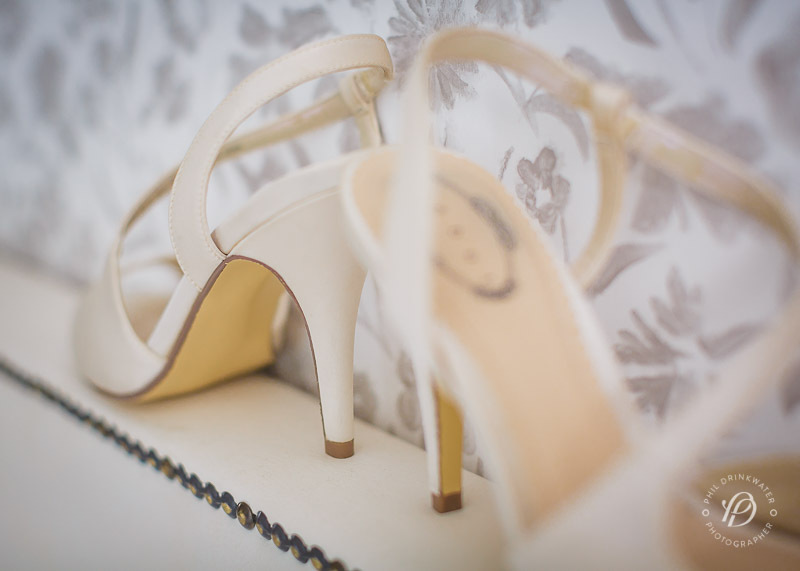 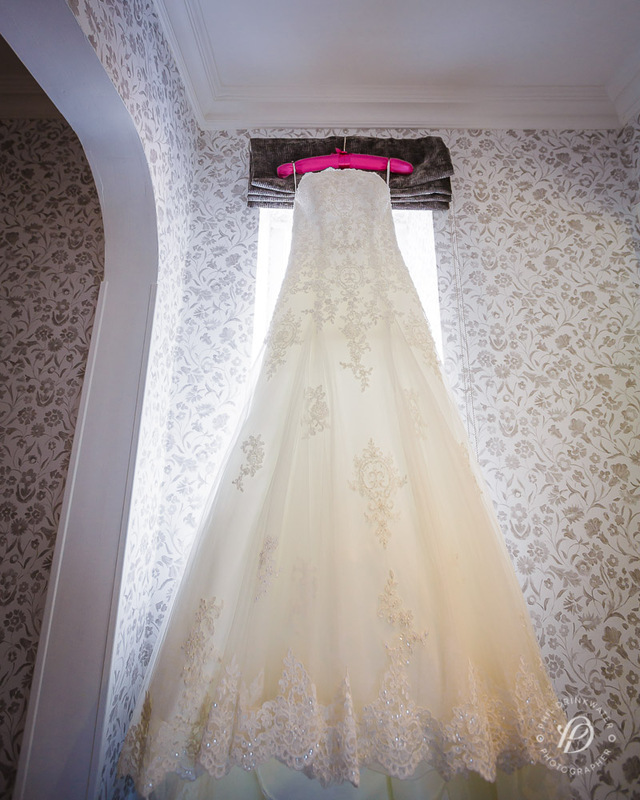 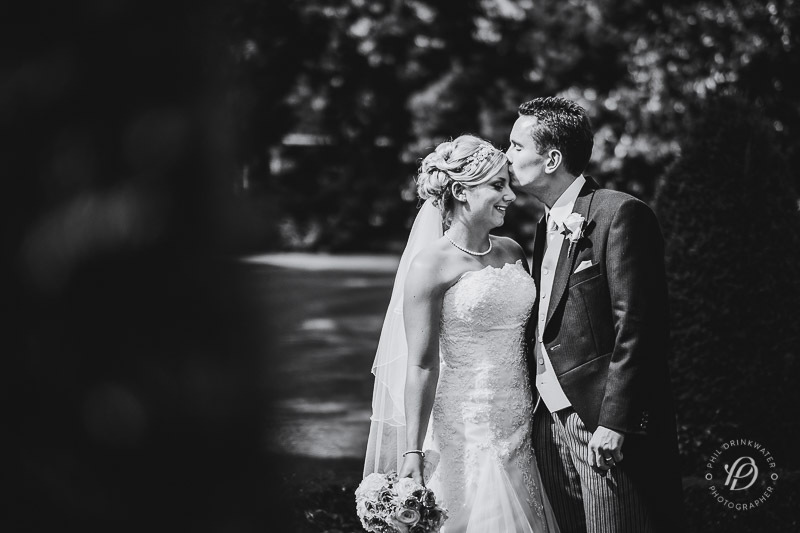 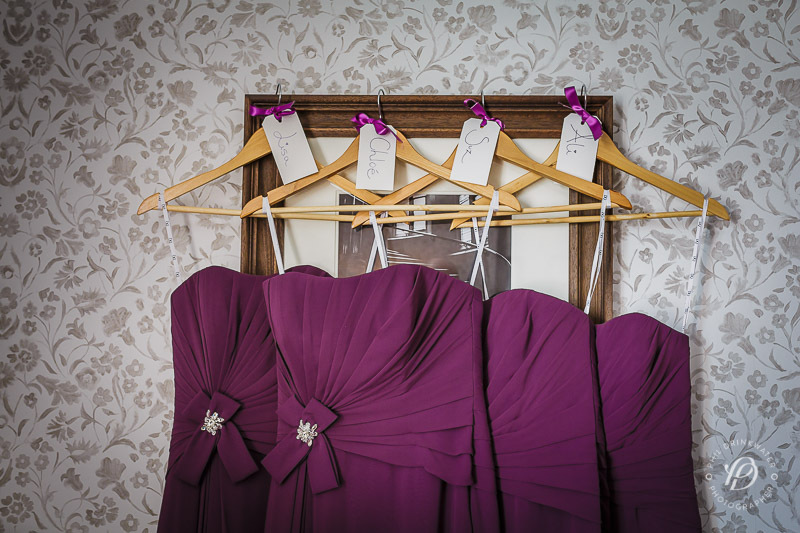 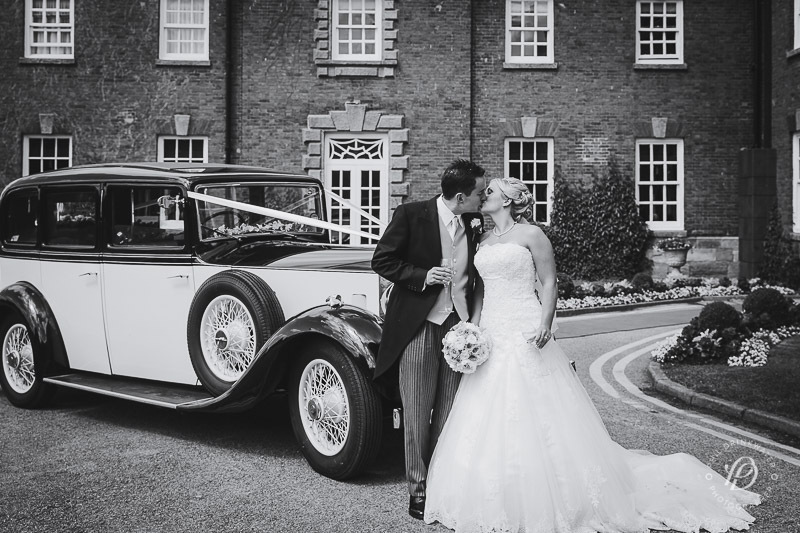 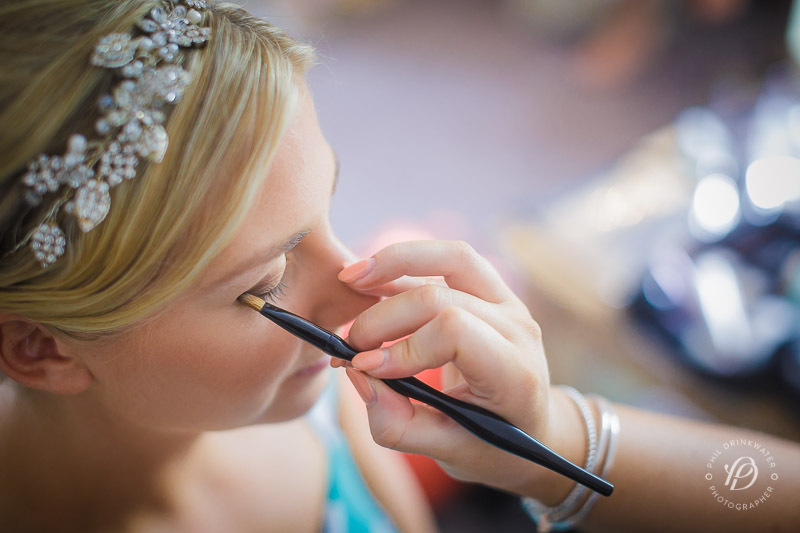 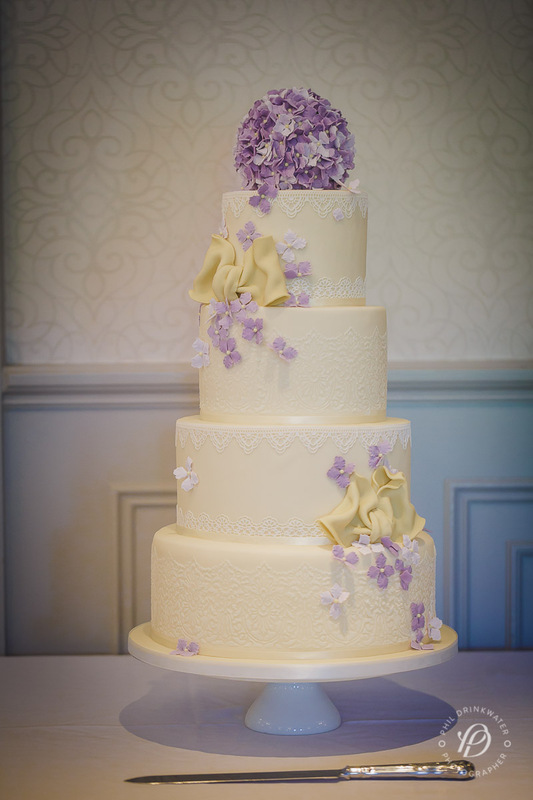 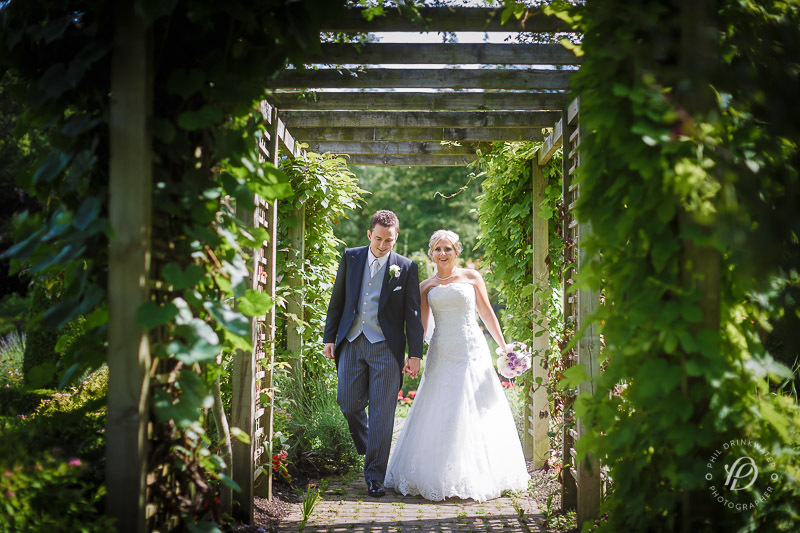 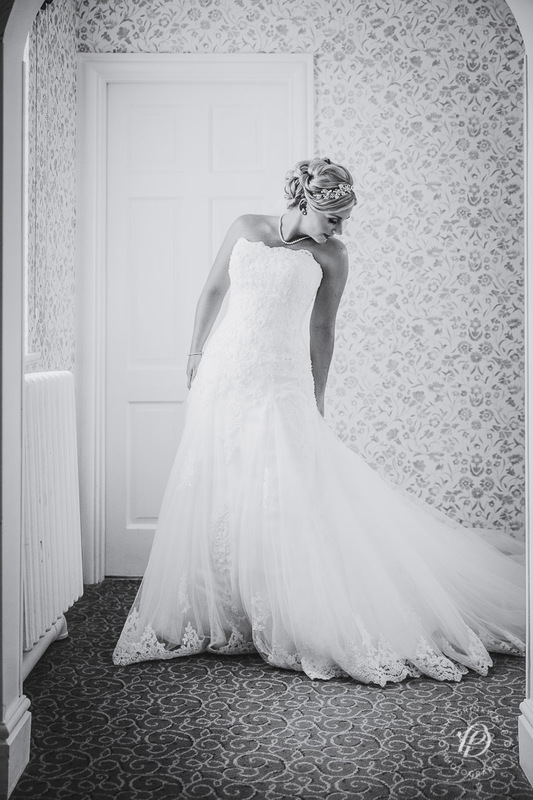 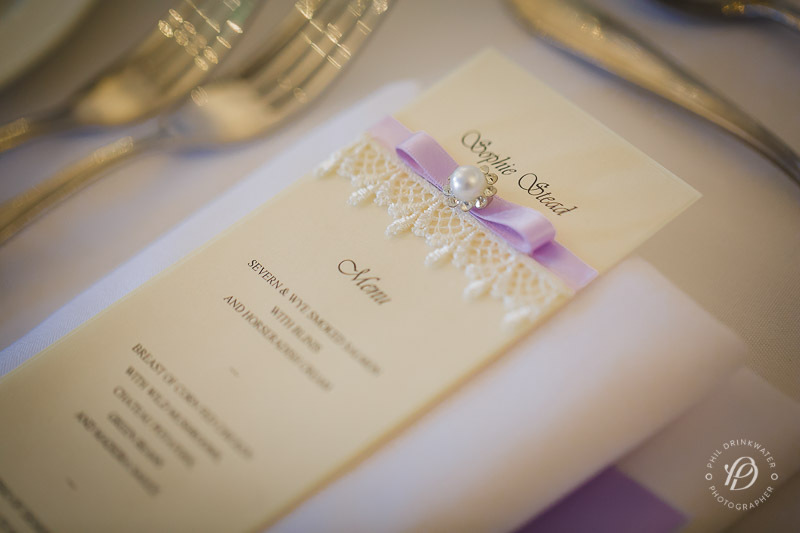 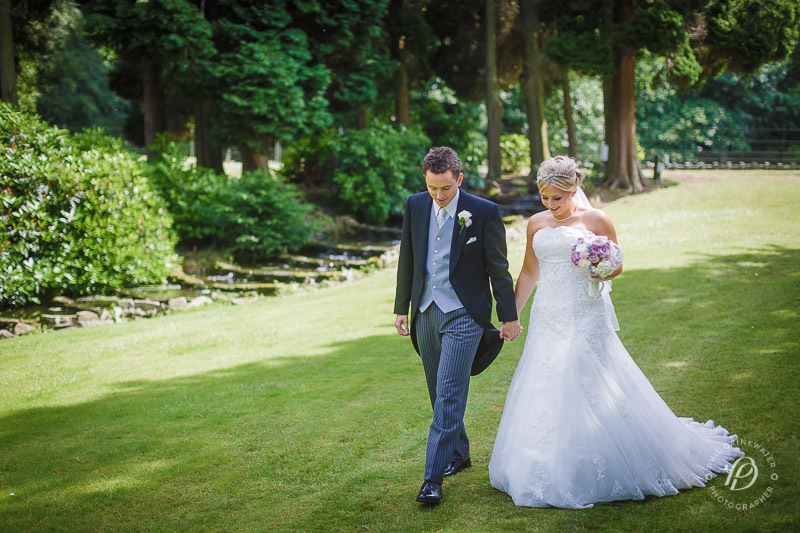 Emma & Ian chose to enjoy their wedding day at the very stylish Mottram Hall close to Macclesfield in Cheshire. 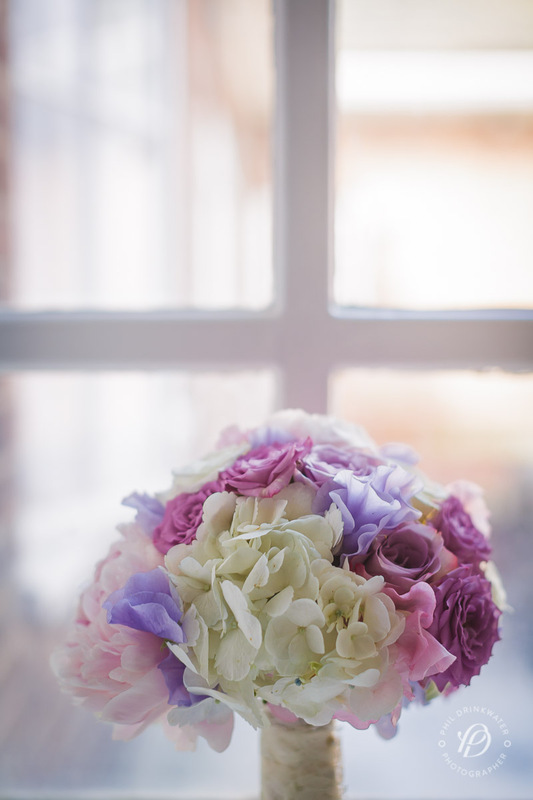 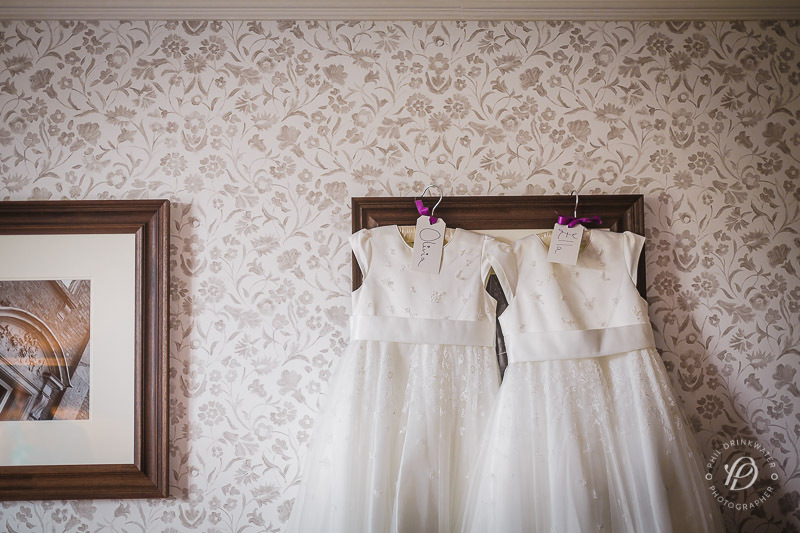 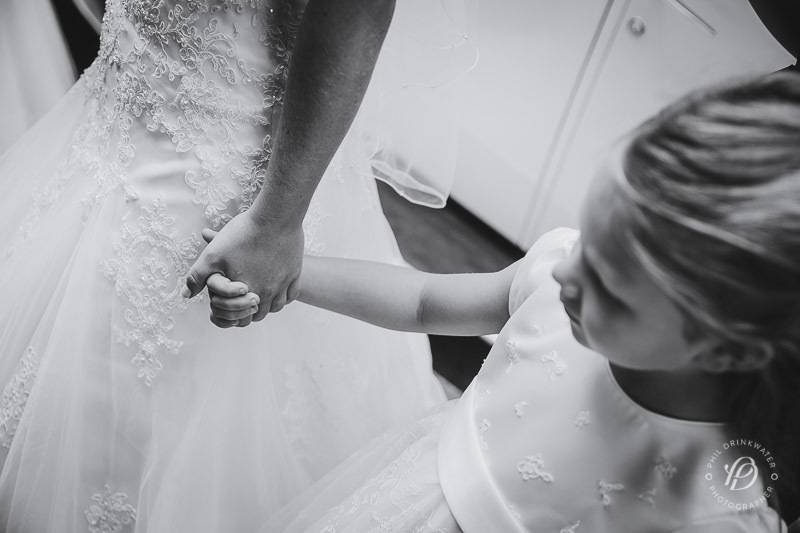 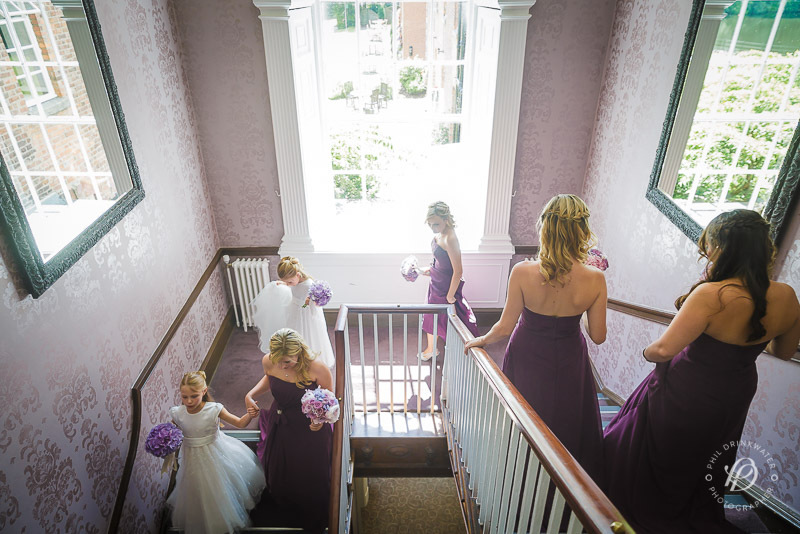 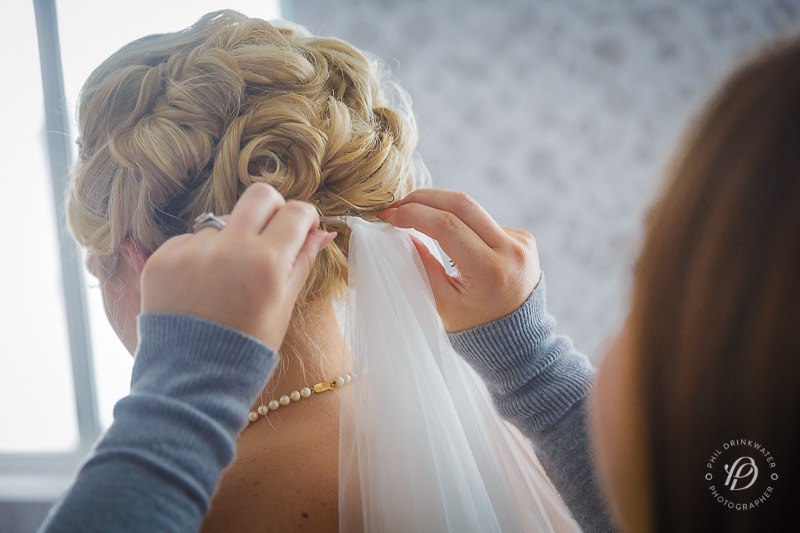 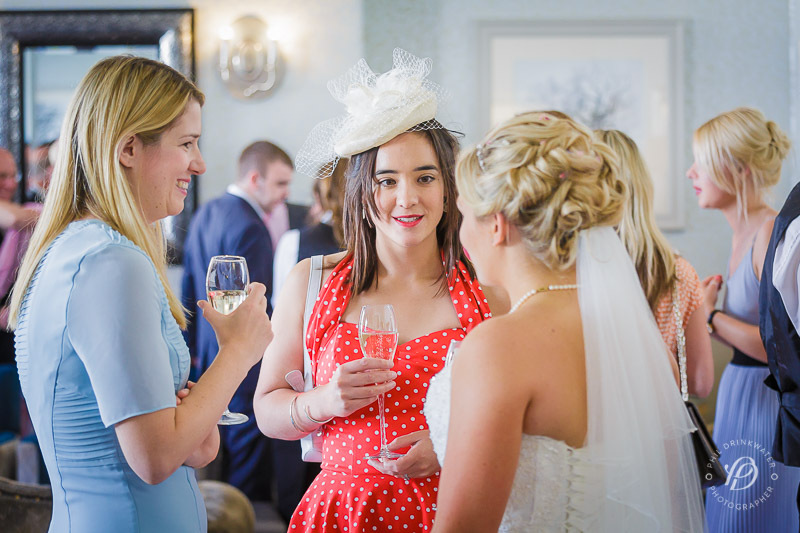 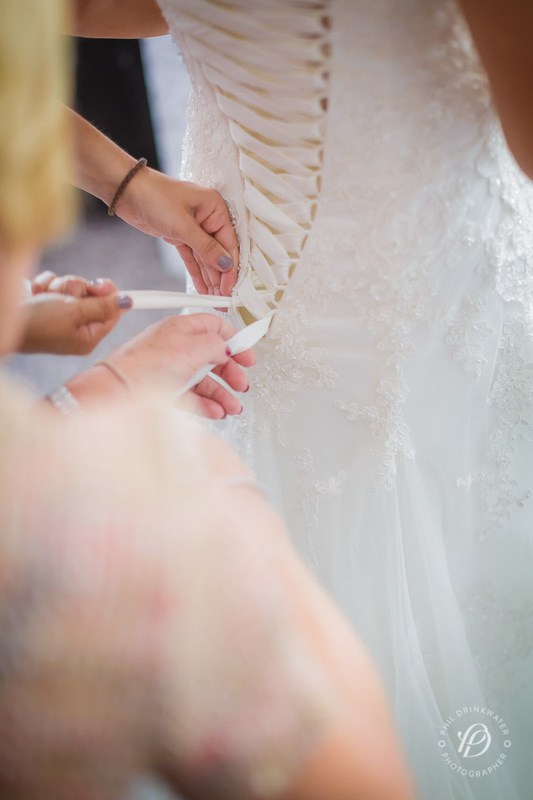 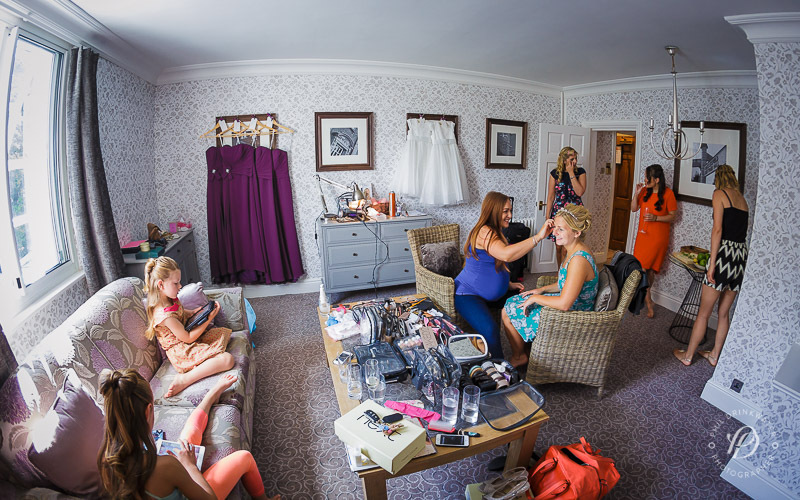 They had planned a day full of fun in the sun … so it was fantastic when the weather forecast showed exactly that and with bright smiles the girls prepared for the wedding day together in a beautiful suite in amongst the wedding dress, shoes and beautiful flowers. 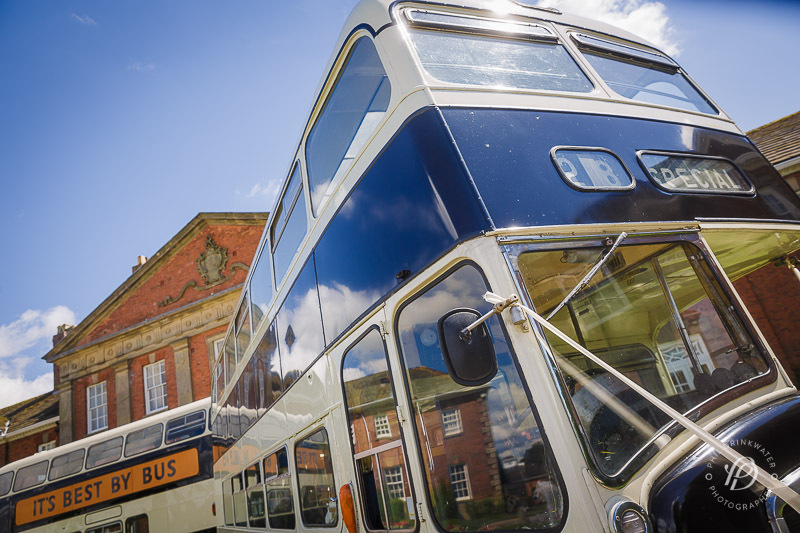 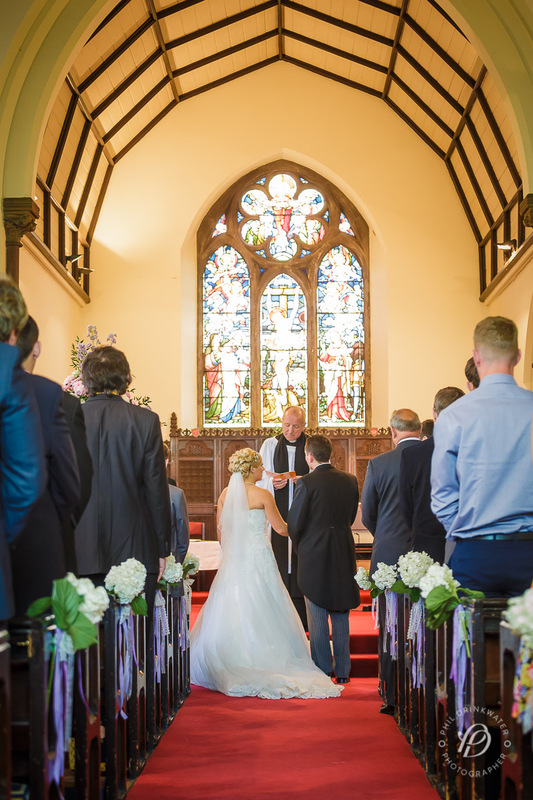 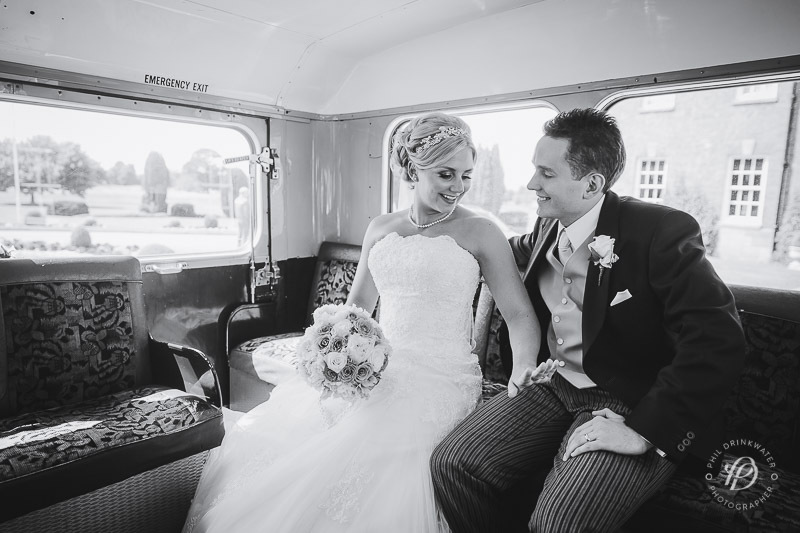 Emma had booked a few buses to take guests to and from the Church and there was excitement as they arrived as it signaled the start of the day. 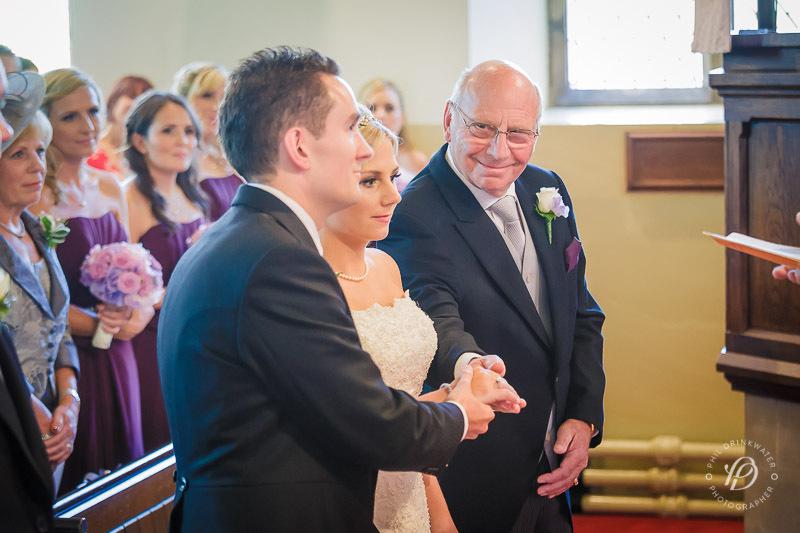 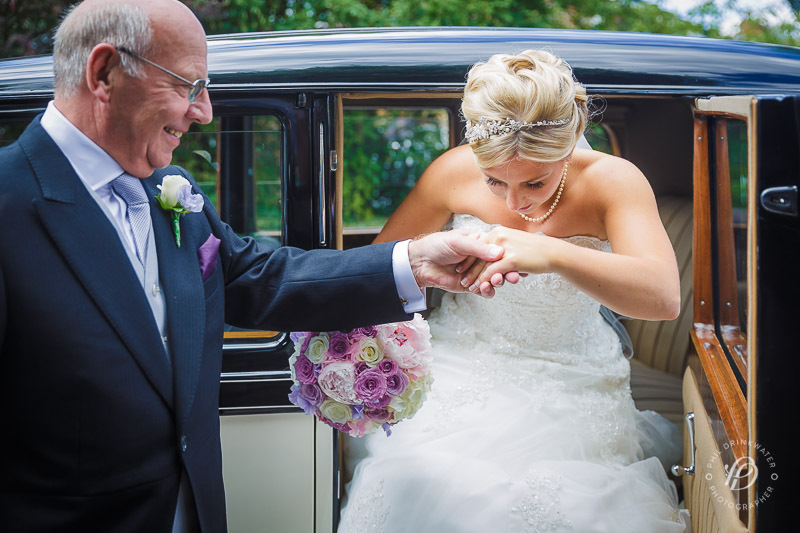 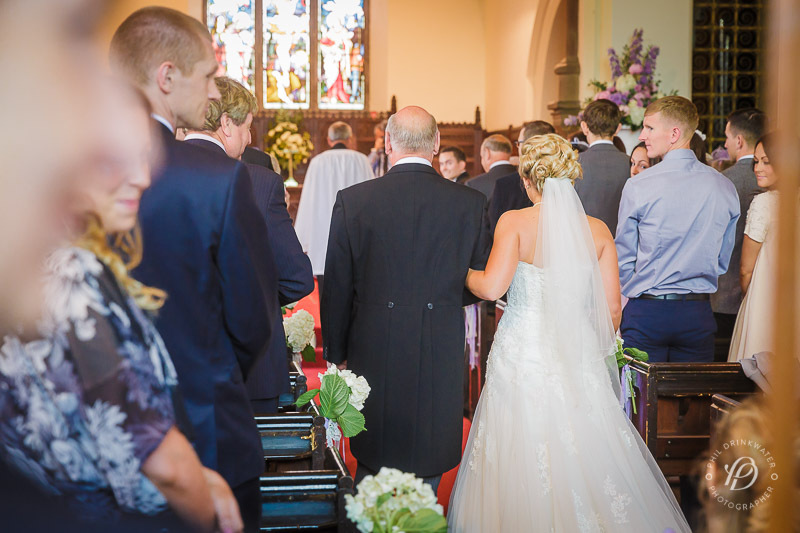 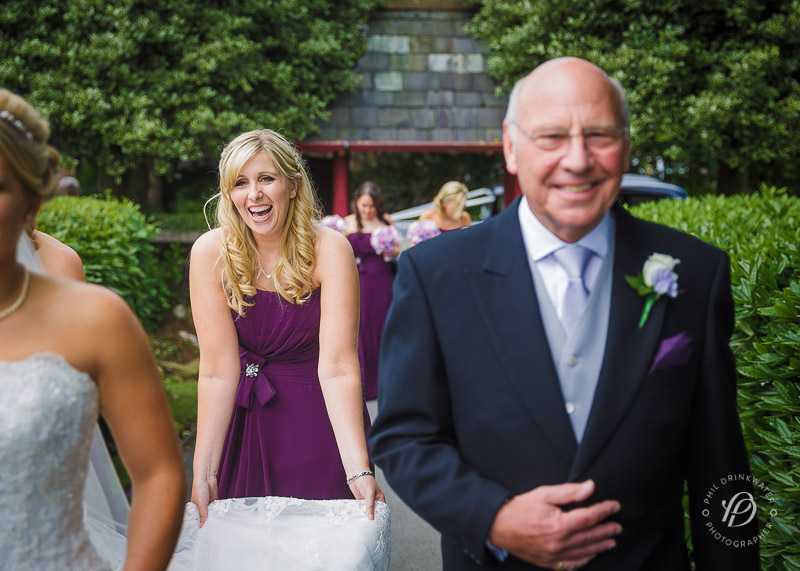 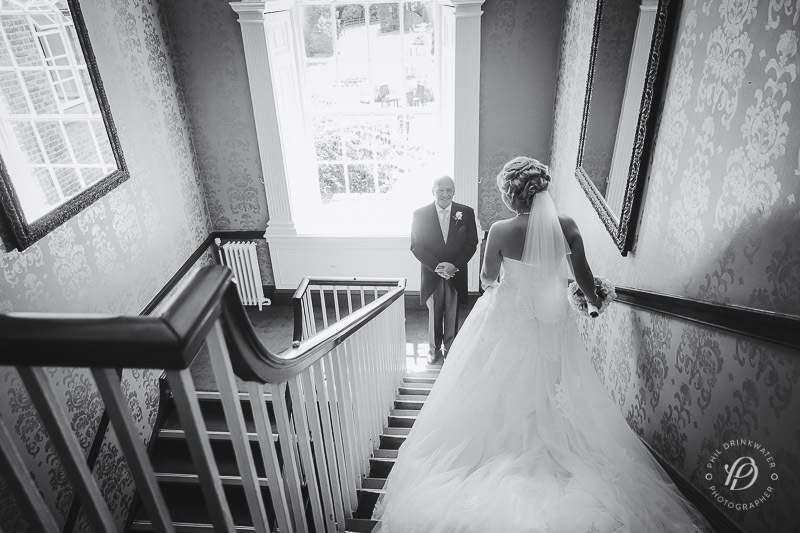 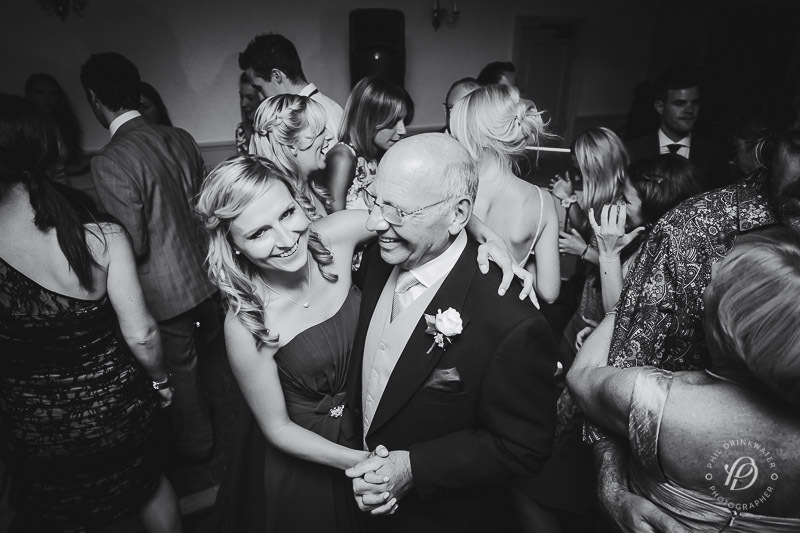 As Emma and her father and friends walked down the aisle, Ian looked back with a massive smile to see his bride arriving. 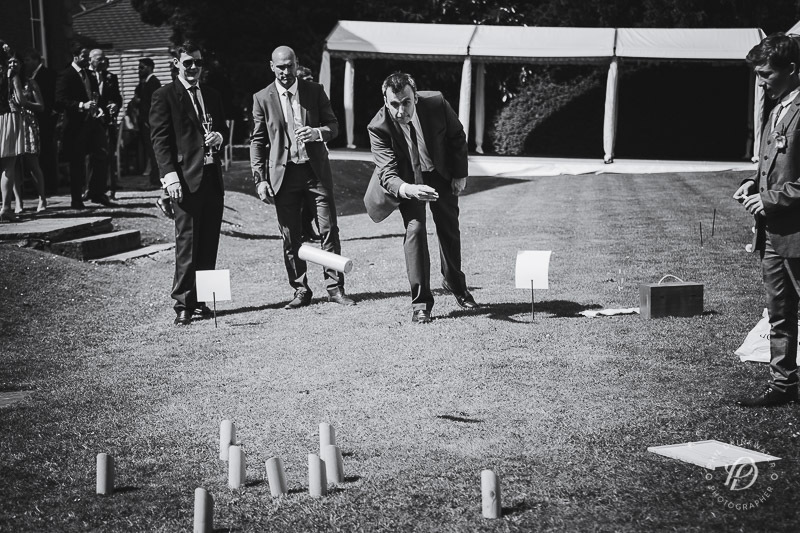 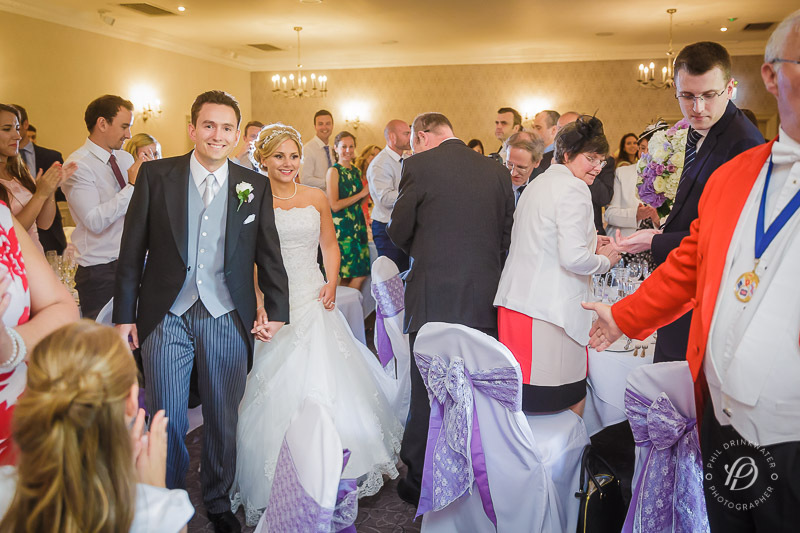 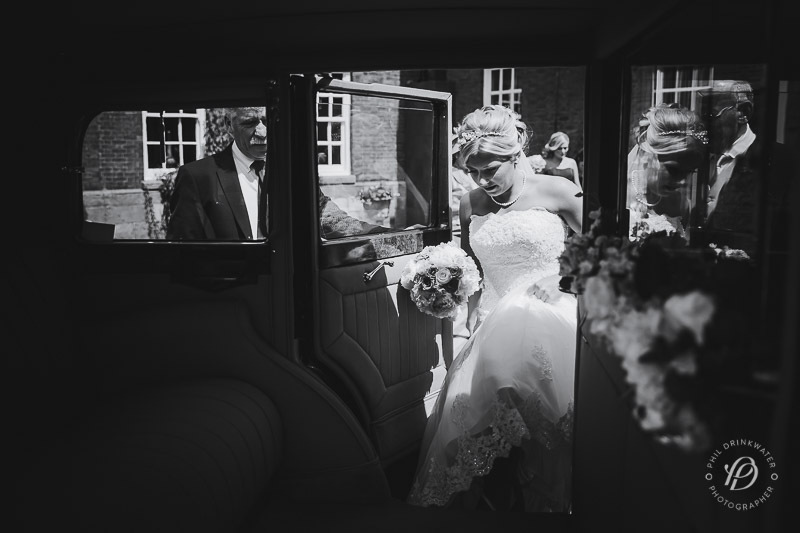 Soon they had moved on from groom and bride to man and wife and it was time to exit and return to Mottram Hall for the afternoon of fun and celebration. 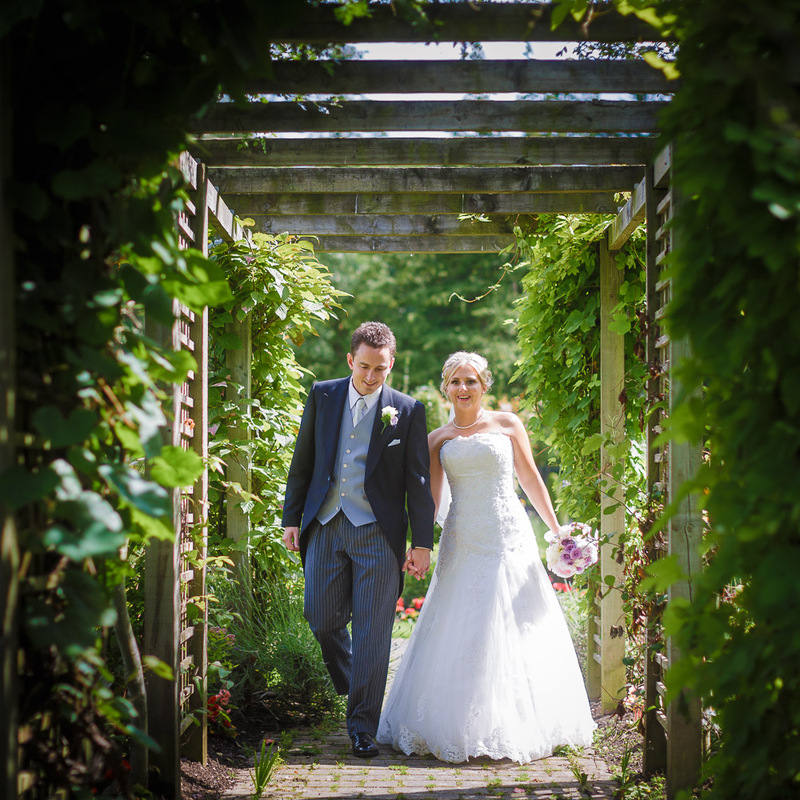 During the afternoon I took the couple aside for some time together in the beautiful gardens for their wedding portraits. 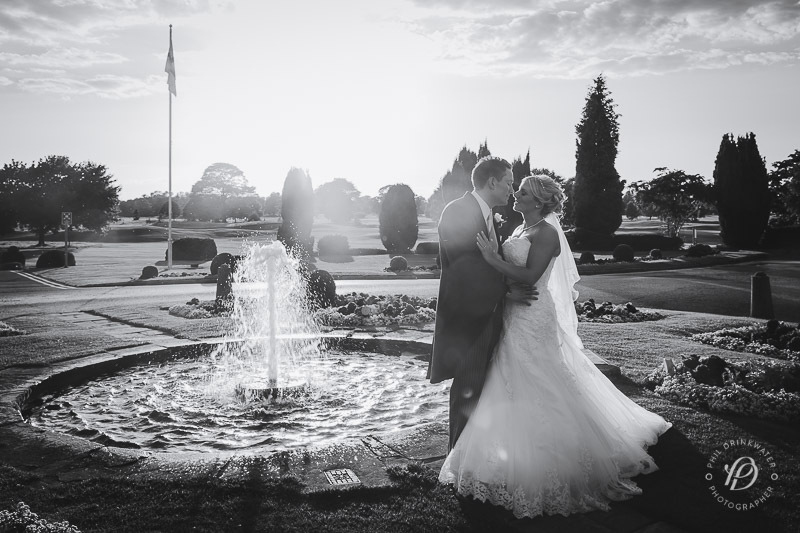 The Mottram Hall lake made a stunning photography background. 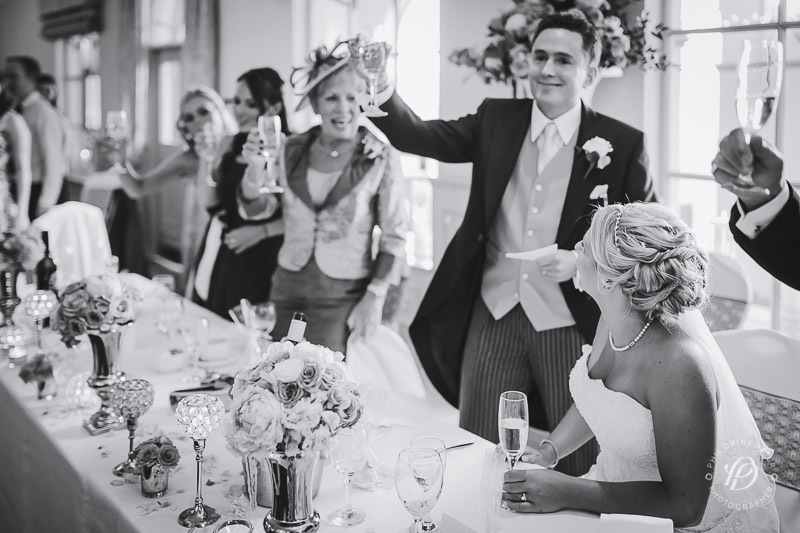 Then it was time for the wedding breakfast and their entrance to cheers from the guests. 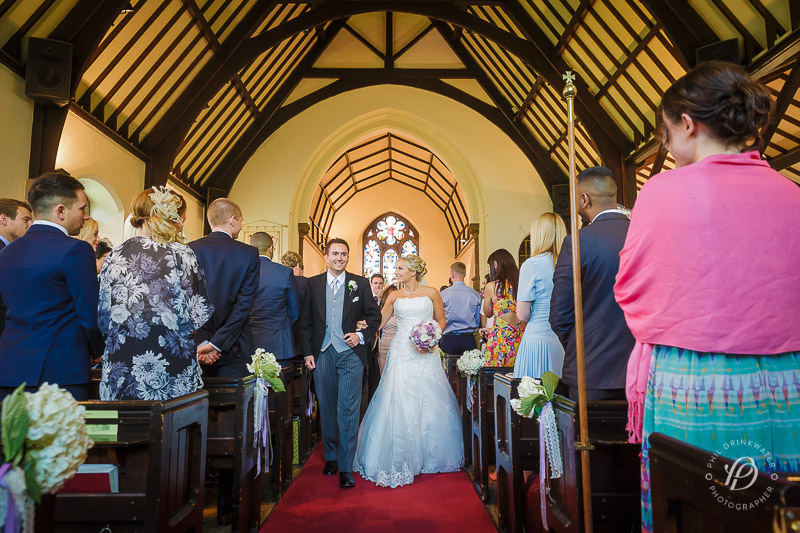 After a stunning meal, it was time for the (fairly long!) 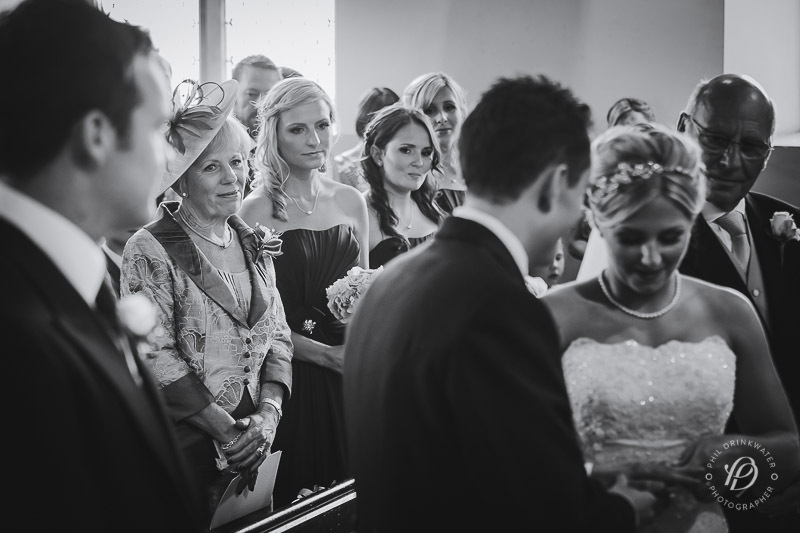 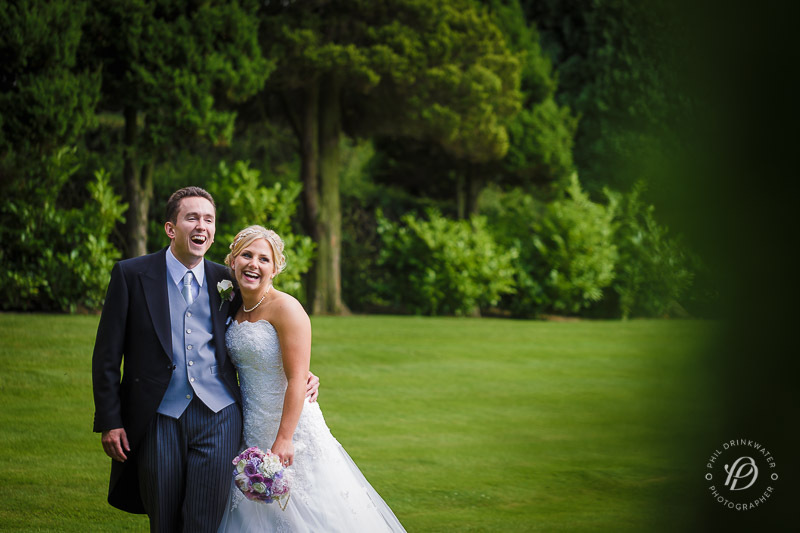 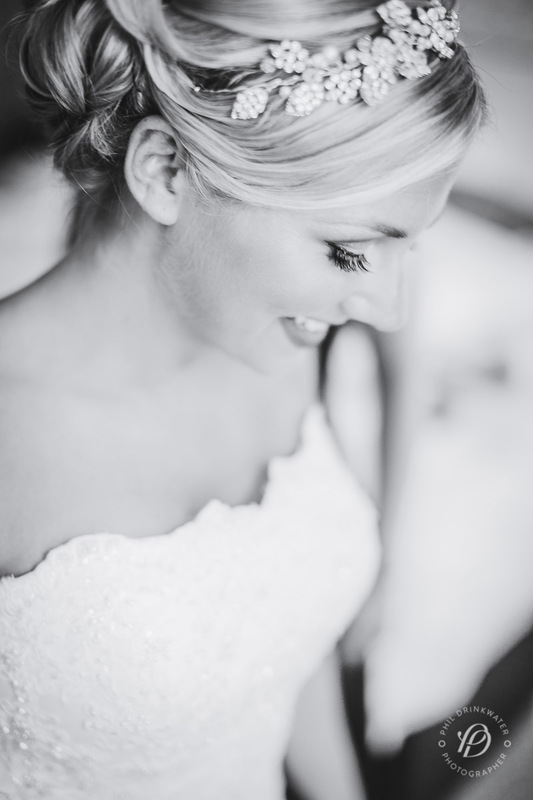 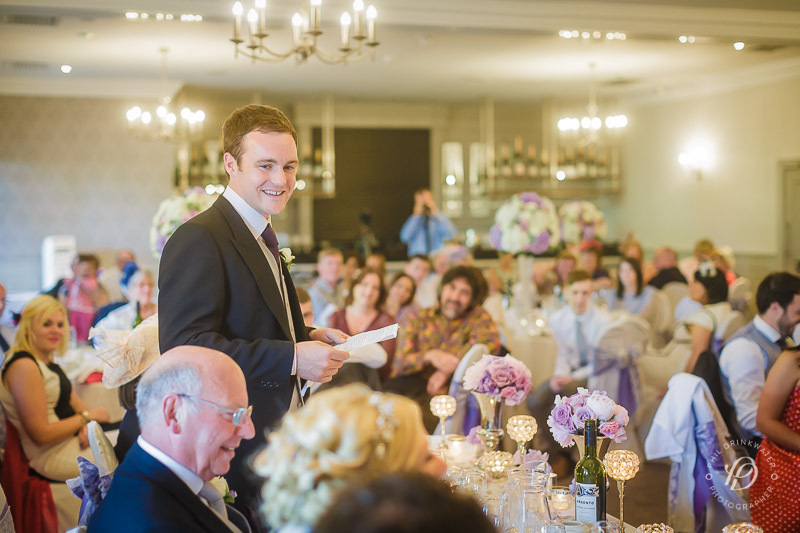 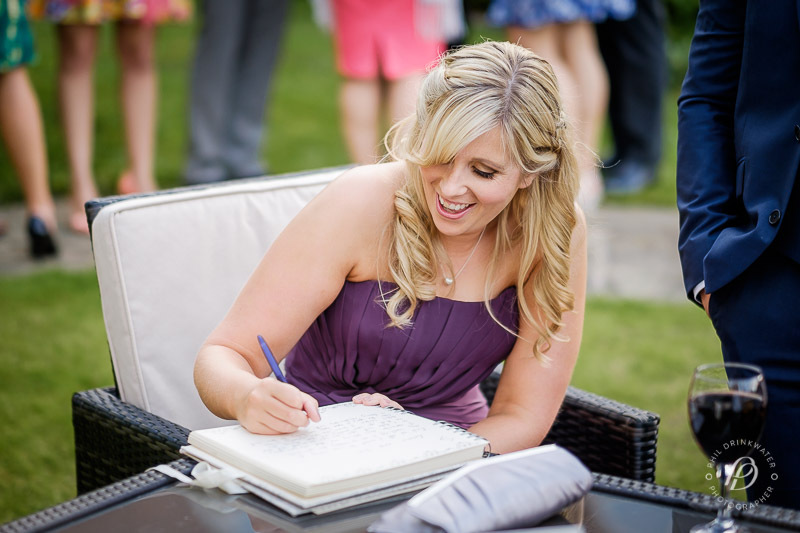 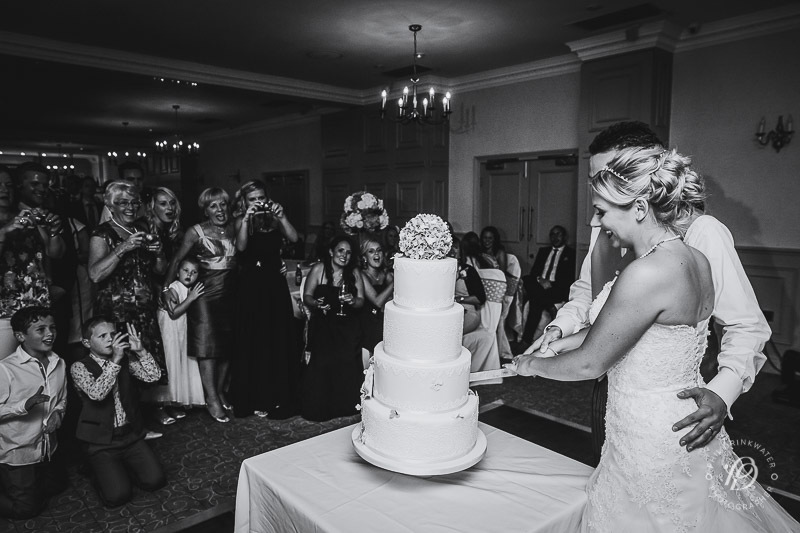 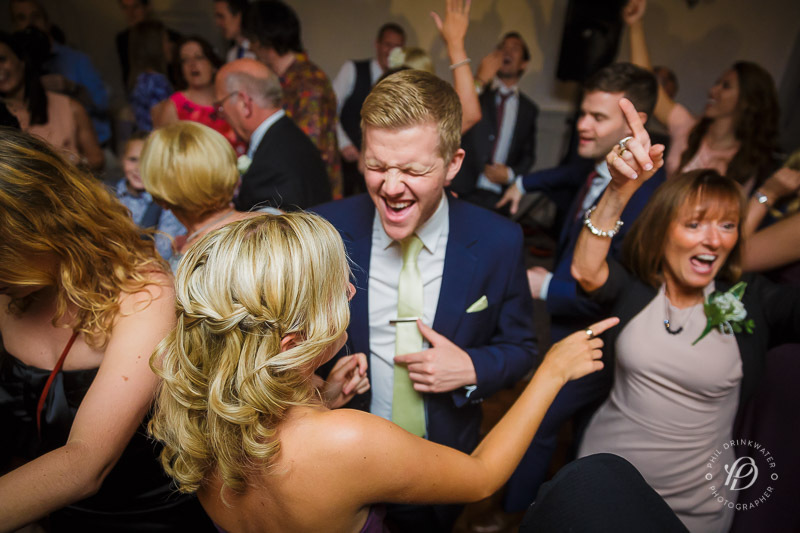 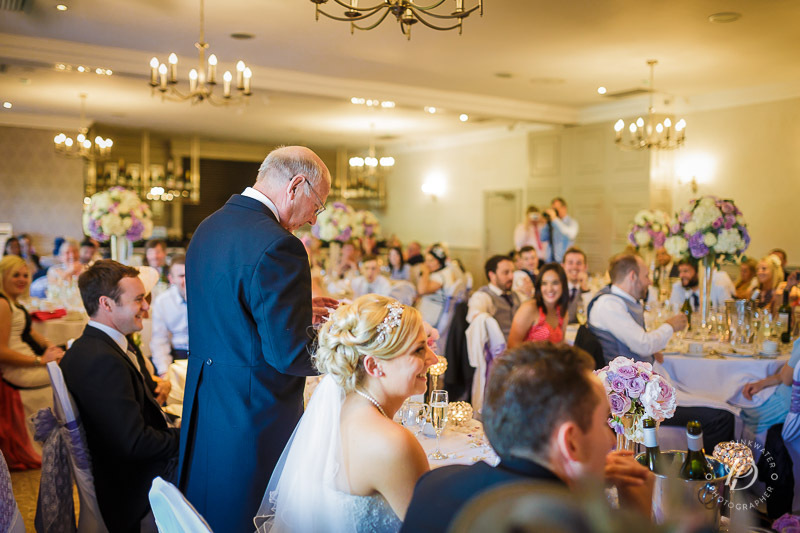 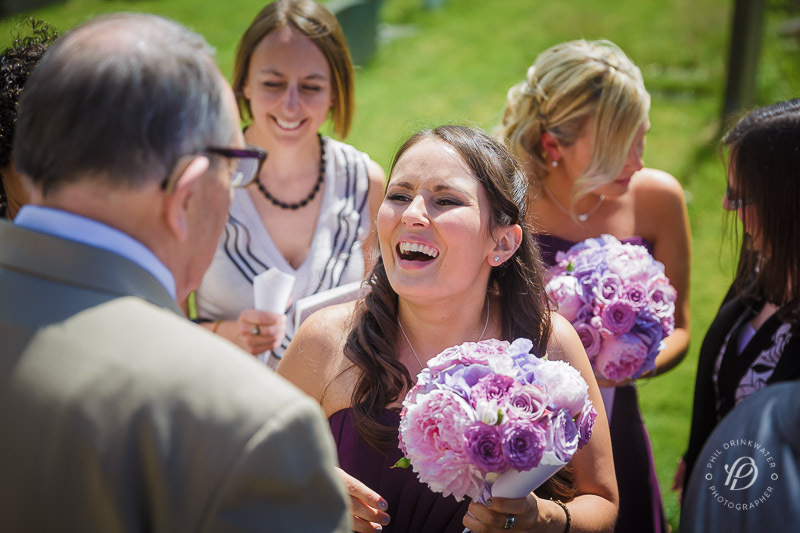 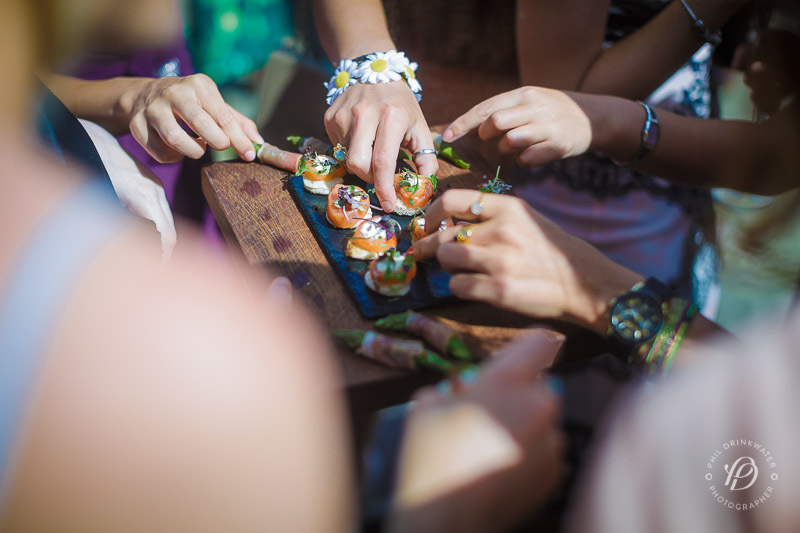 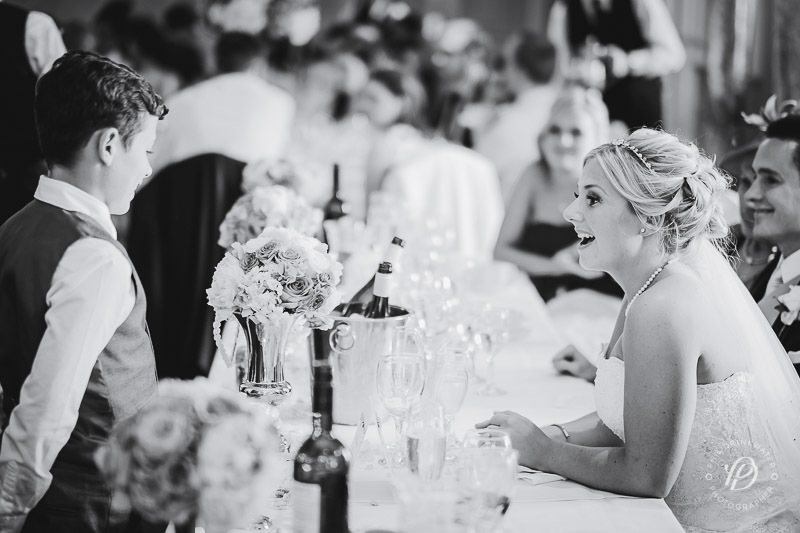 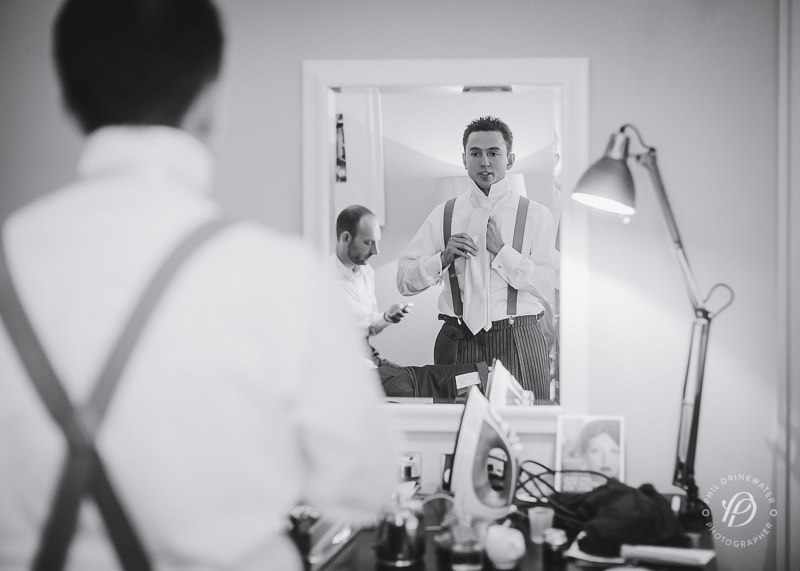 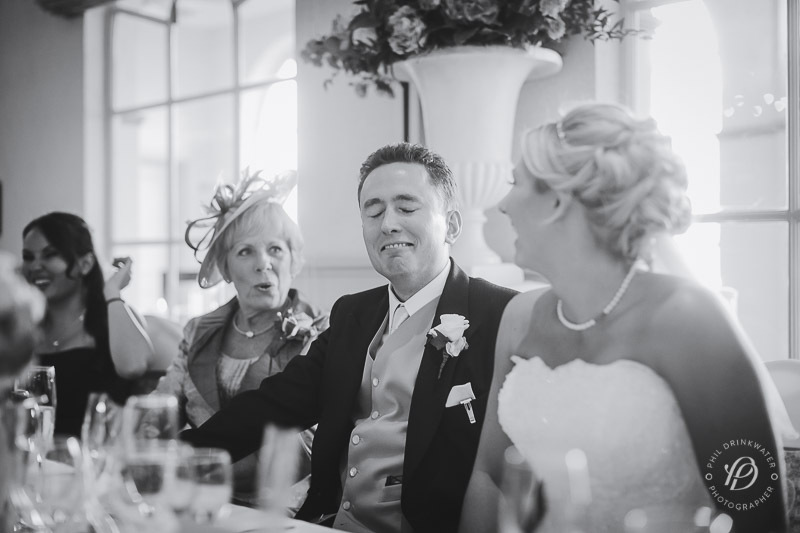 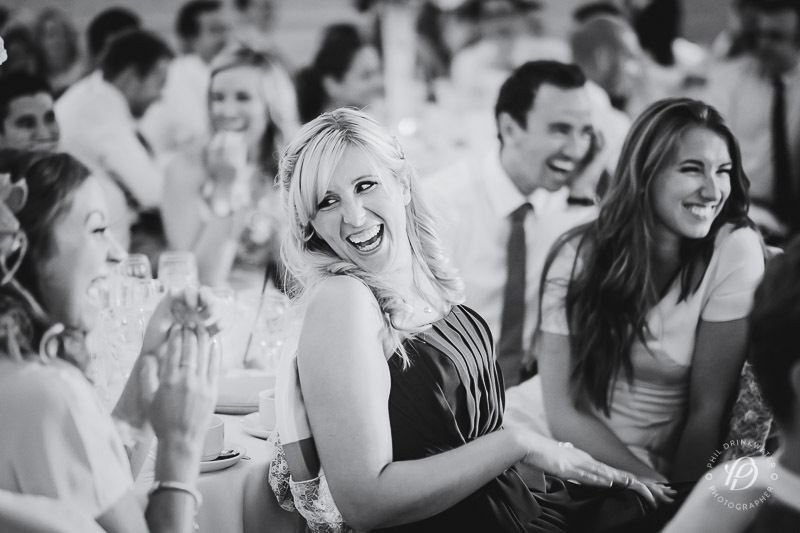 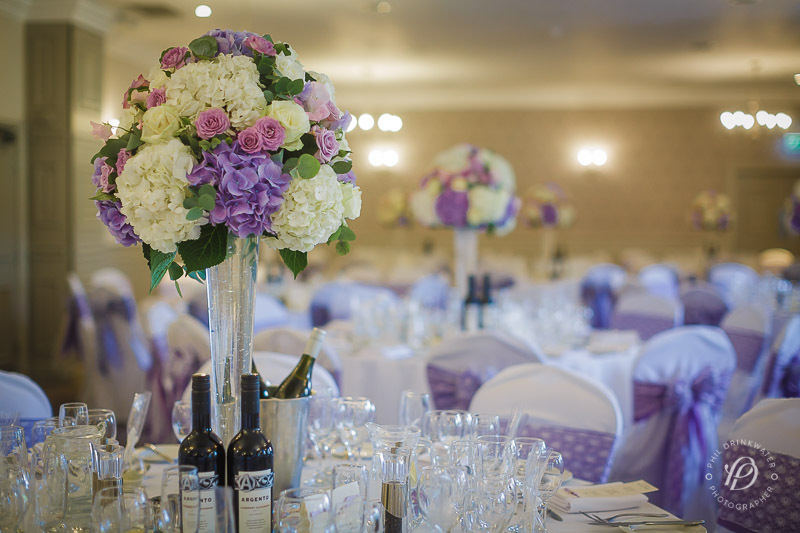 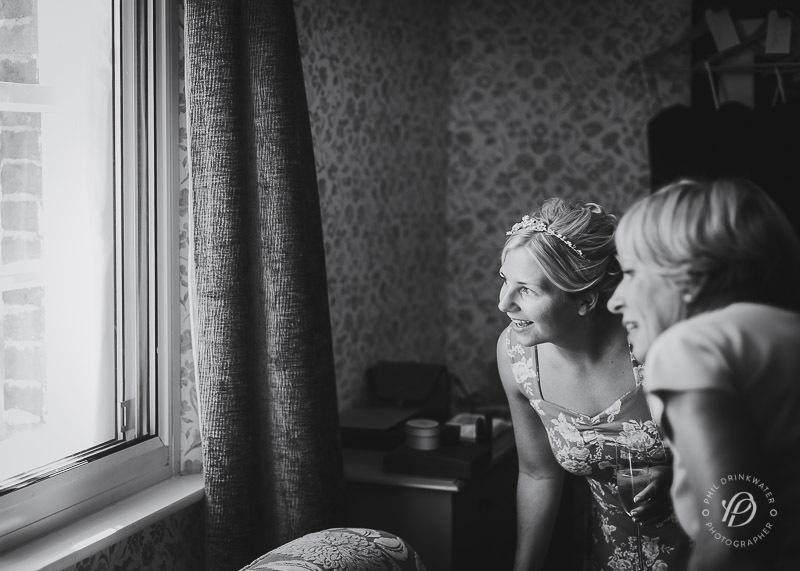 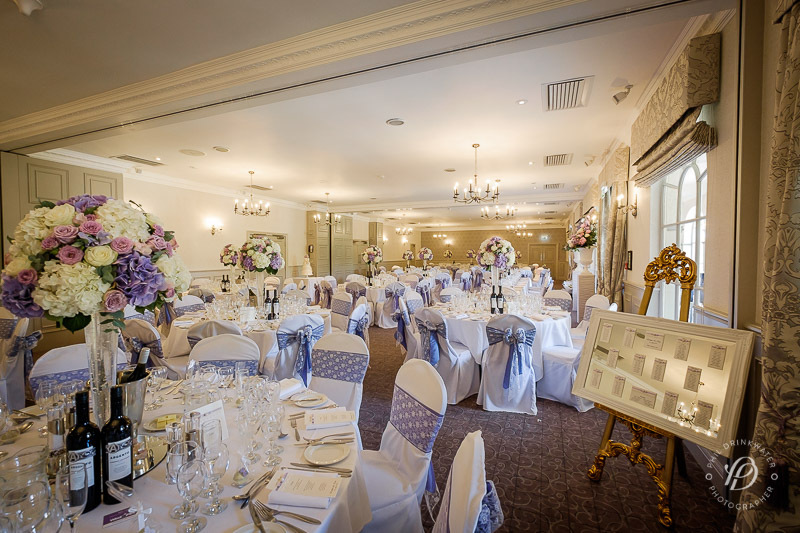 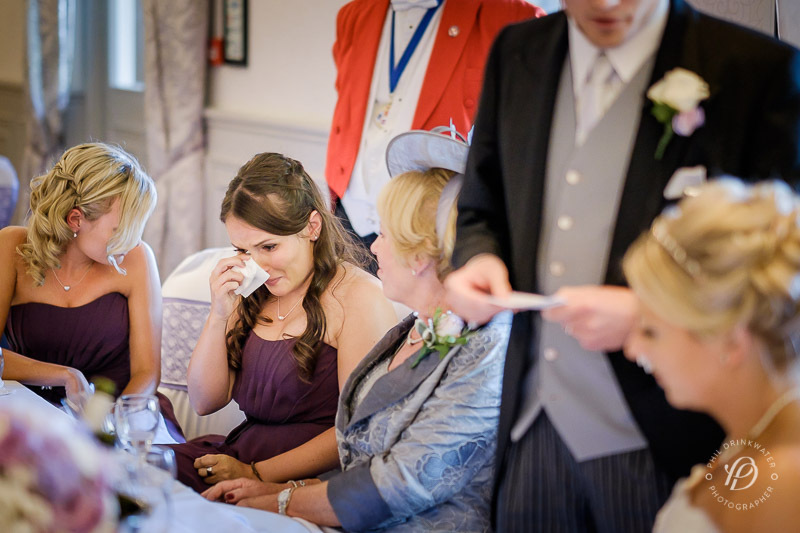 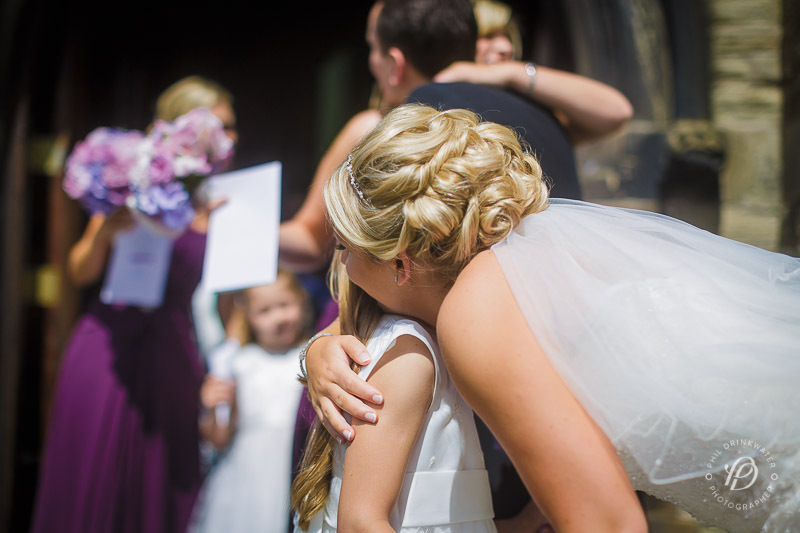 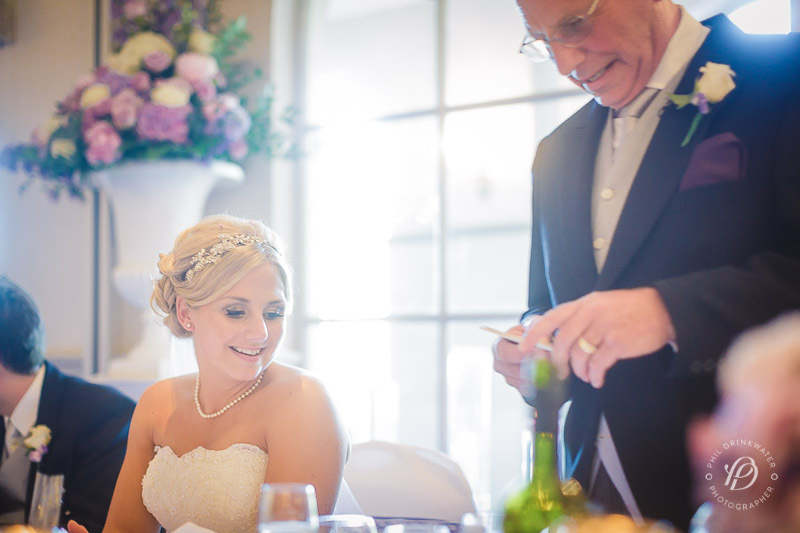 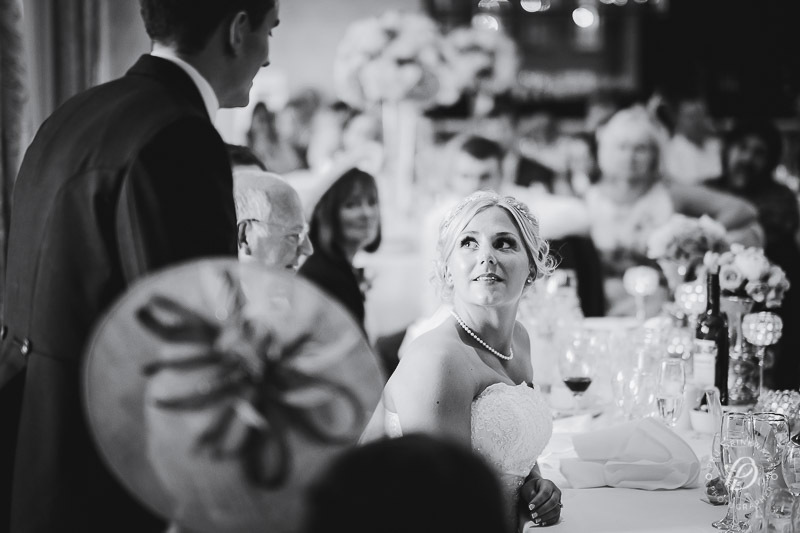 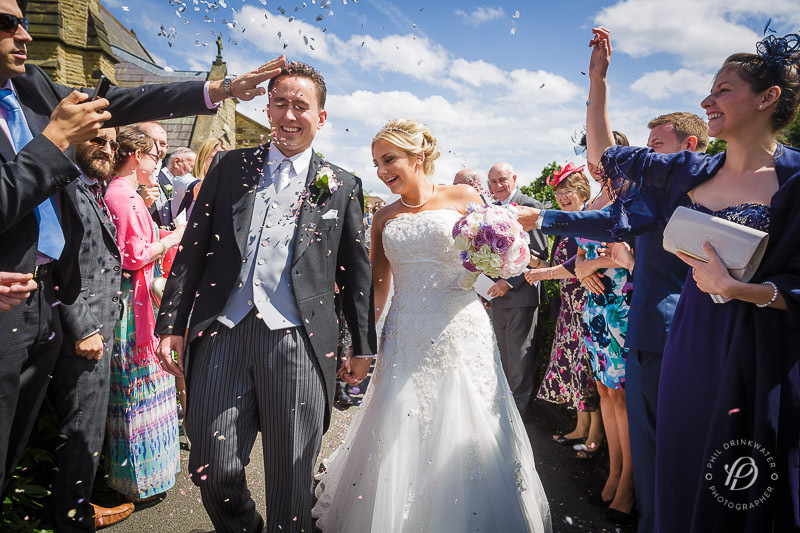 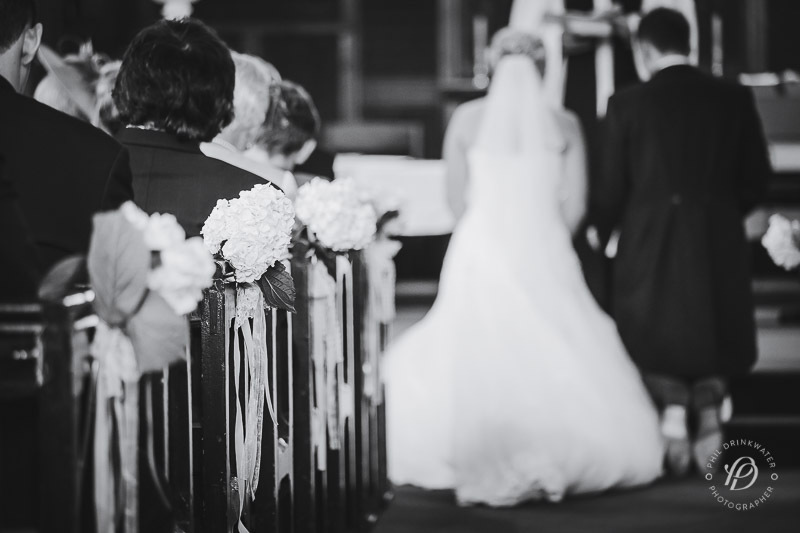 speeches, full of laughter and emotion – well it is a wedding! 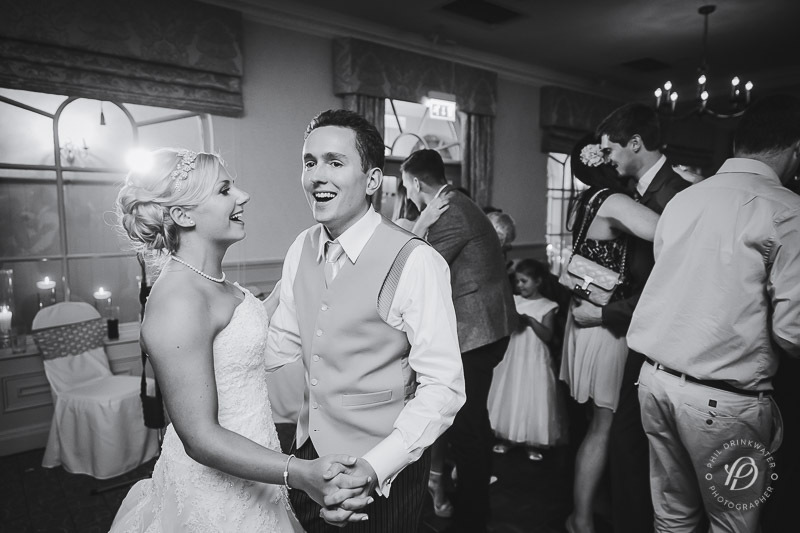 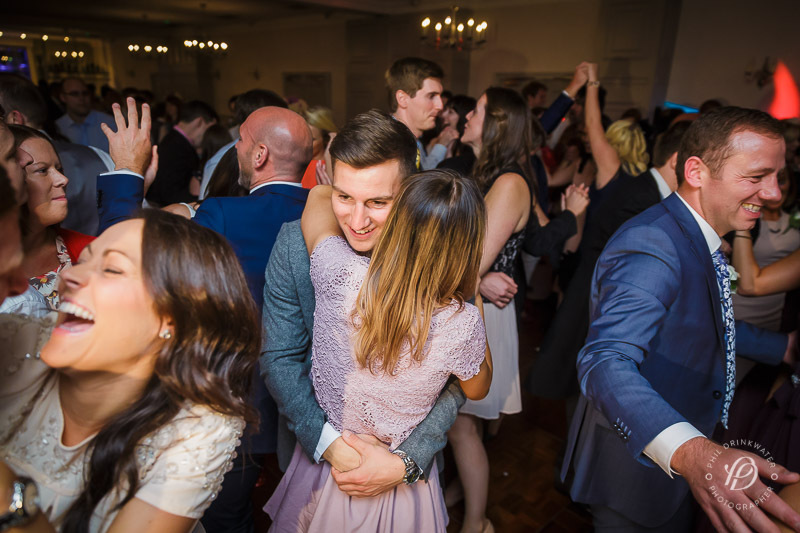 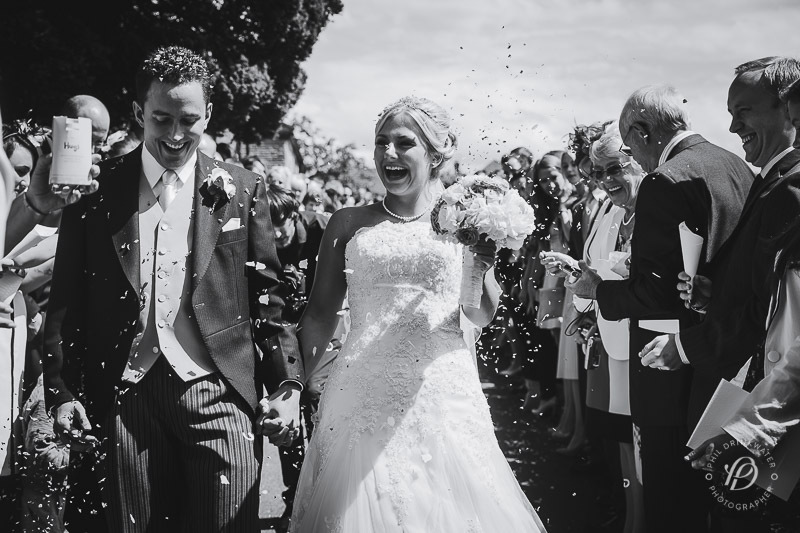 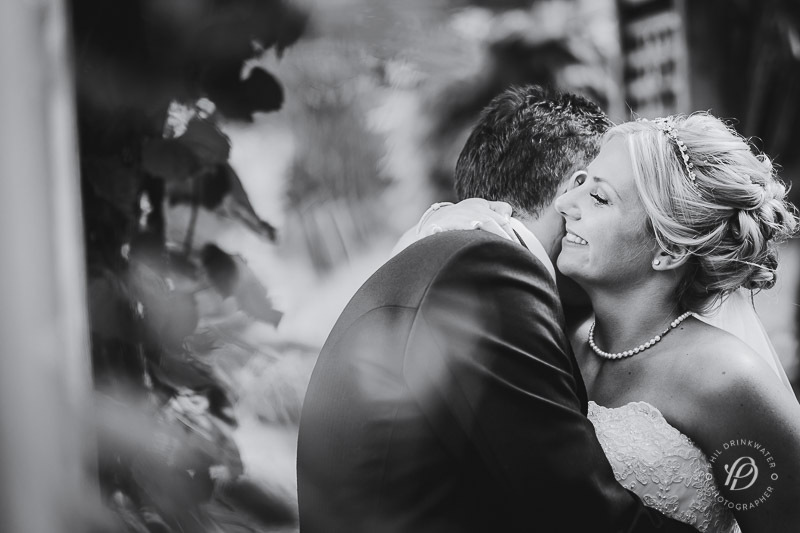 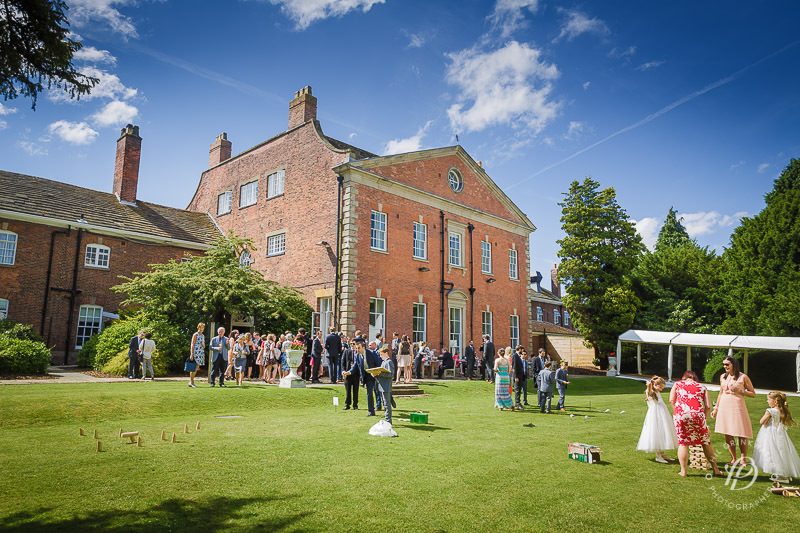 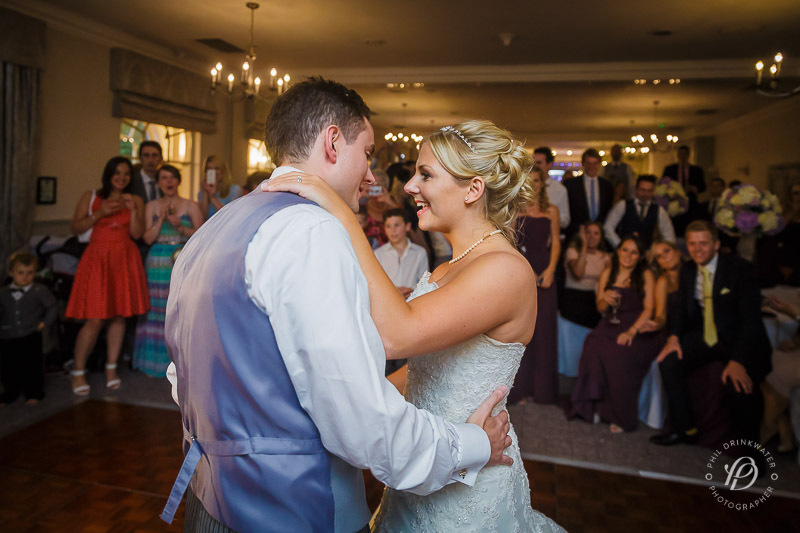 As the end of their wedding in Cheshire arrived, they relaxed with guests in the gardens before making their way onto the dance floor through a rapturous applause for their first dance and to party the night away.